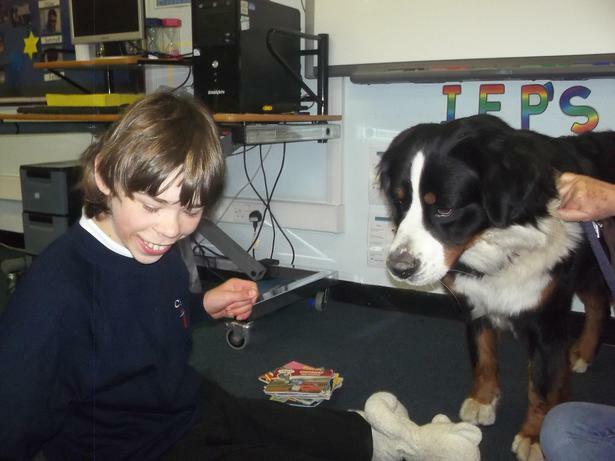 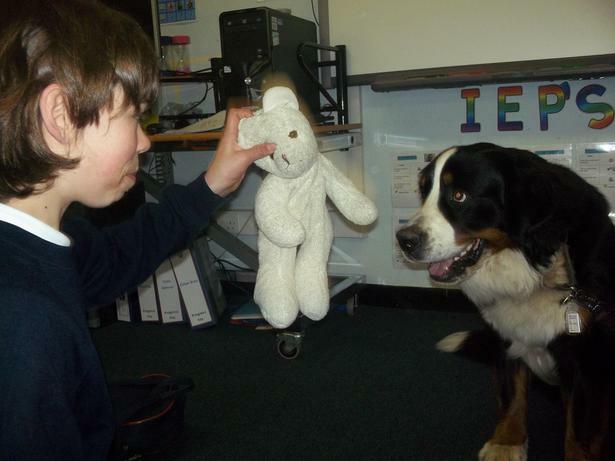 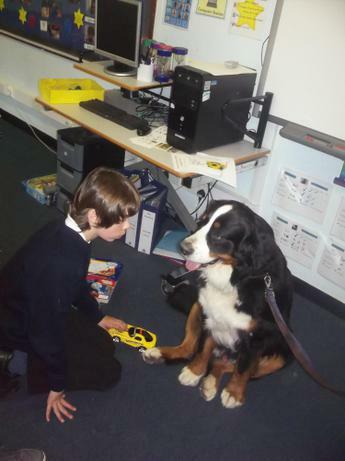 Curnow School is very fortunate to have the support and services of a PAT (Pets As Therapy) dog Jenkins owned by Emma. 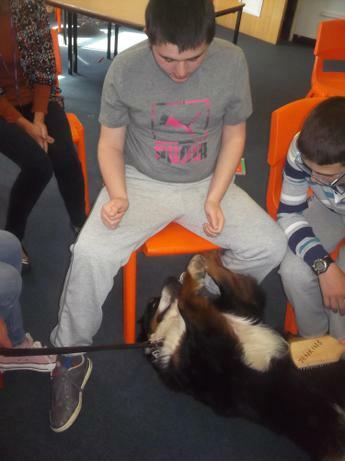 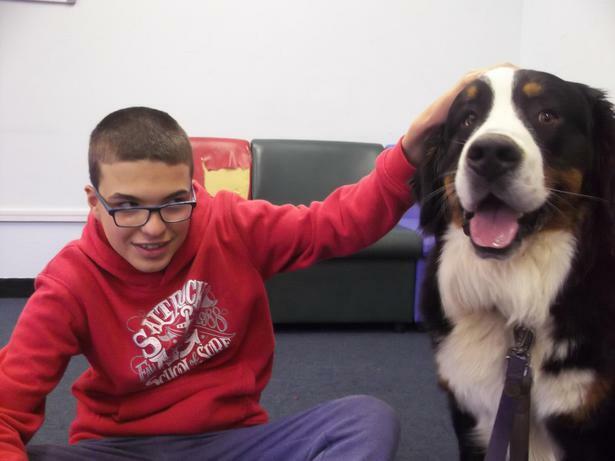 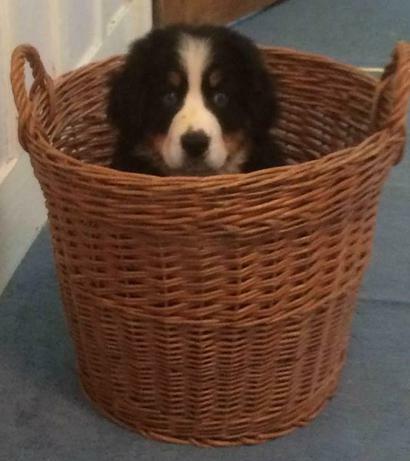 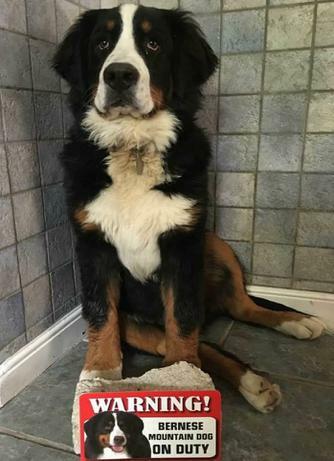 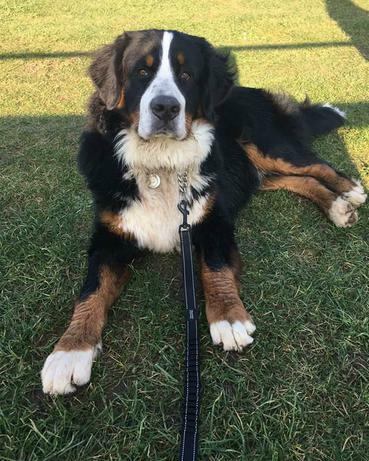 Jenkins is a Bernese mountain dog who was born on 2nd April 2016; he is extremely friendly, good-natured and a happy dog who adores both humans and other animals. 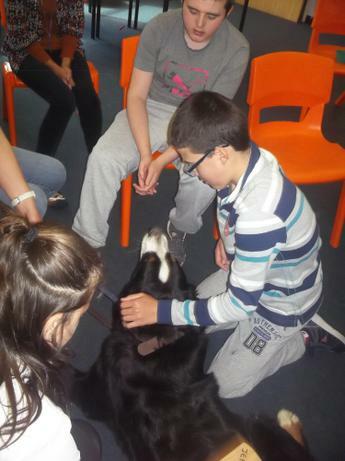 He loves fuss and cuddles and generally being with people. 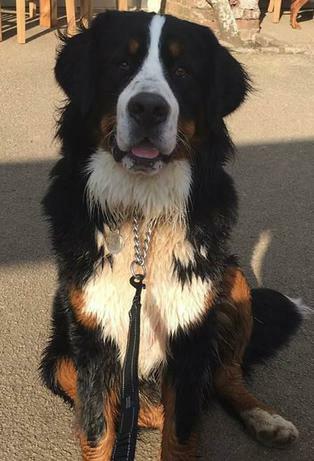 His favourite things include walking (particularly on the beach), swimming, treats and LOTS of attention! 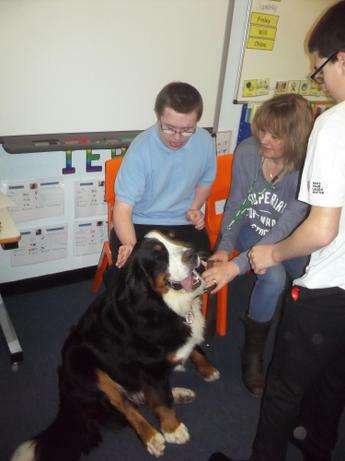 All of the work achieved through the support of Jenkins and Emma is planned by the class teachers/teaching teams to ensure the students at Curnow benefit from this additional resource within the school. 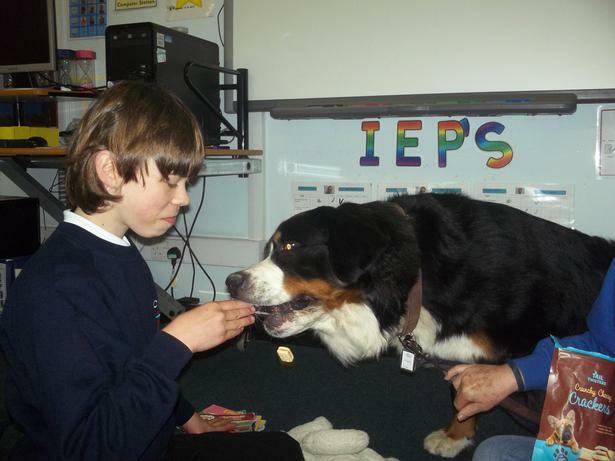 The teacher discusses all long term aims with Emma outlining the purpose of the session(s); students will be supported by teaching assistants throughout, feeding back progress of planned work to the teacher at the end of each session.